See below for a fabulous range gifts for new mum, whether your want organic, natural, humorous, fun or quirky we have them all! Don't forget to look in our other gift sections for New Dad and New Parents too! This is a lovely quirky little card - perfect to accompany any of our new mum gift ideas! 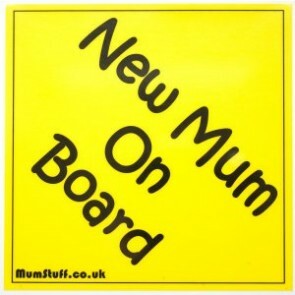 Exclusive to MumStuff, this fun, static cling 'New Mum on Board' sign is a must for any new mum! Not only does it alert the emergency services to the fact that is likely to be a baby on board, it is a humorous 'warning' to other drivers that you might not be at your best! 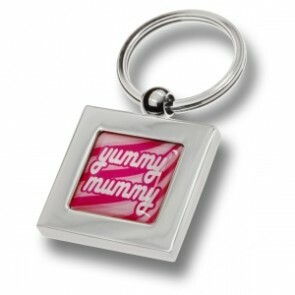 This 'Yummy Mummy' keyring, finished in striking Bubblegum Pink is another high quality creation from the Richard Cammish Studio. 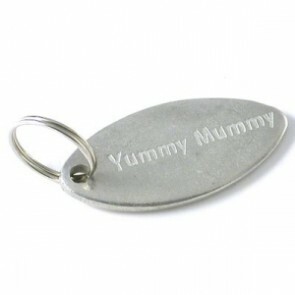 This heavyweight keyring is finished in a high quality shiny nickel plating with a 360 degree rotating ball attachment. 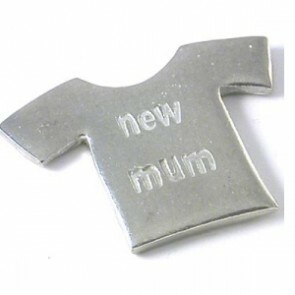 Forget flowers and chocolates and help the new parents celebrate their new arrival with these dinky solid handmade pewter mini T-shirts. We all love our relatives and friends but when you've just had a new baby, they can sometimes be a 'bit much'! Why not beat them to the inevitable questions with our exclusive 'Questions' badge. 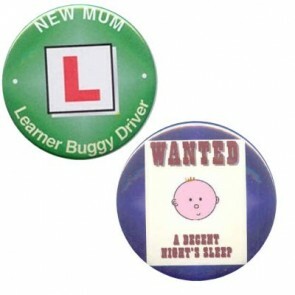 New Mum Learner Buggy Driver Badge - Let everyone know you're coming and might be a bit wobbly with 4 wheels! 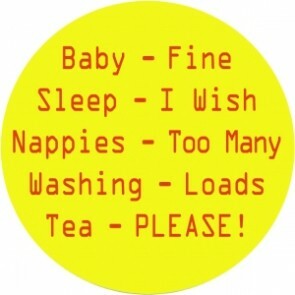 Fun L-Plate badge is a must for all new mums. Gorgeous 100% natural products for total pampering for all mums from the skin experts at Natalia. These fantastic products invite relaxation and a positive touch into your life.